Pick up a delicious pre or post-skiing snack at The Local Market & Liquor Shed. Our Breckenridge, Colorado specialty market features gluten-free and organic foods, as well as old favorite snacks, drinks, and many local products you can't find elsewhere. Though we are not a full supermarket, we carry a bit of everything someone enjoying their vacation would need. Plan and prepare a wonderful meal with our all-natural meats, produce, and diary items, including old-style milk in glass bottles. If you'd rather not cook, enjoy one of our breakfast burritos or a sandwich, along with a fresh cup of coffee. Far from just a health-food store, we also carry delectable treats such as locally made ice cream, old favorites like Frito-Lay® chips, and your choice of Coke® or Pepsi® products. In addition to food items, we carry personal care basics like toiletries, medicine, and cigarettes. 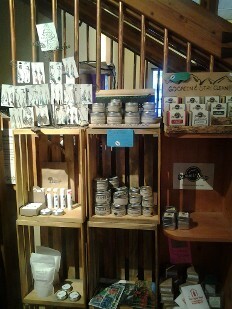 In keeping with our local focus, we also feature lovely gifts, crafted by area artists. 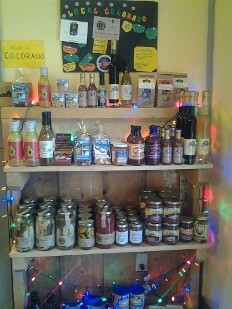 Check Out Our Many Unique Local Colorado Items. We get many from the producers themselves, so you won't find these specialty products at the big stores! No trip to our area would be complete without sampling local food. We carry premier local, natural, and organic products, from vendors including Scanga Ranch Meats, and Higgles Ice Cream, as well as Bella's Black Bean Hummus and The Real Dill Pickles. Grab a quick and delicious meal on the go. 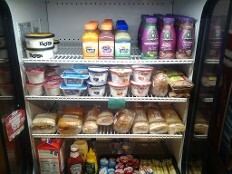 We carry many prepared foods such as handmade sandwiches and burritos. 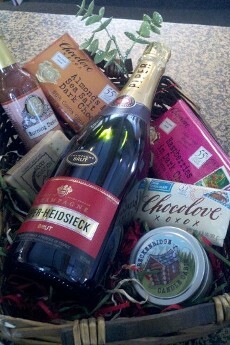 We can help you create a beautiful gift basket. Local Vendors: Buena Vista Roastery, Morning Fresh Dairy, Higgles Ice Cream, The Real Dill, Take & Bake Breckenridge, Breckenridge Candle Cabin, Breckenridge Soap Co. Contact us for a truly local shopping experience in our specialty market, and try our organic foods.